8 Item Items Warning: Last items in stock! Sometimes unexpected things can happen. Ripped jeans or shorts or skirts when you least expect it can be the most embarrassing thing that can happen to you in public. But what's a problem without a quick solution. 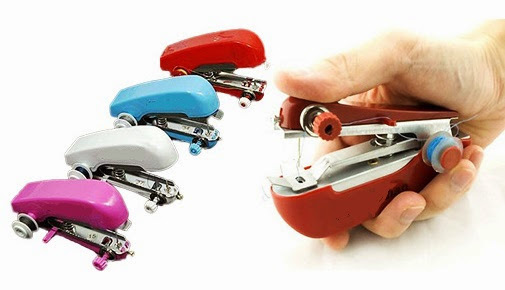 Here's the Mini Portable Hand Held Sewing Machine! A stitch in time saves nine!!! 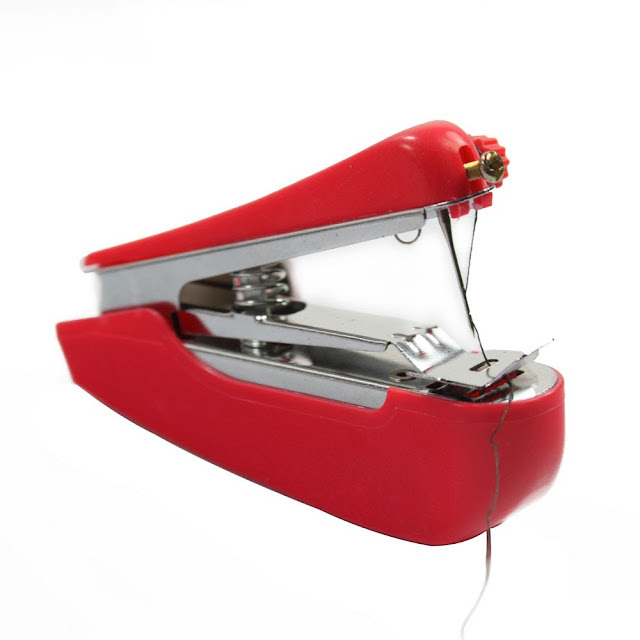 This Portable Hand-Held Sewing Machine is ideal for quick repair jobs, like mending torn pockets, fixing hems or shortening slacks or even sewing curtains while on the rod, and fulfills your various sewing requirements in everyday life. Works on all fabrics. A nifty companion ... this handheld no batteries or electricity required mini sewing machine is a great little retro piece and it does its job well. Provides a great quick and simple solution for fixing small loose hems when you are in an emergency. It auto feeds fabric and stitches quite well once you get the hang of it - the instructions are thorough and simple to follow, so anyone can learn. Plus, its hand/human-powered, so you can go as fast or slow as you wish, and since there's no electrical power it's a great machine to start teaching young kids how to sew. Great for holiday fun for the family too. Great for quick repairs or jobs that conventional desktop machines can't handle, like sewing curtains while on the rod, or mending a torn pocket without having to remove your pants. Small size, easy to carry and place, very portable and convenient - can be brought along on travels. have one in your car, office, or even handbag for that quick hem fix. 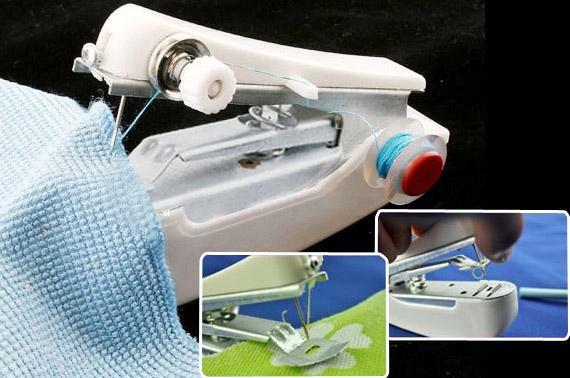 Fulfills your various sewing requirements in daily life. Great for kids even learning to sew. Dimension: 11cm x 10cm x 3.5cm.